One might think of Limahl in the same bracket as Boy George, Phil Oakey or Margaret Thatcher as having one of the defining bouffants of the era! But, the original duo tone spiky mullet man was, oh, so much more than his legendary hair, the band he fronted so much more than their crazy name and angular posturings. That was the spirit of the time, the manner in which one grabbed attention, the means by which in the wake of the New Romantic movement one expressed oneself. From the smugness of hindsight it is all too easy to write off bands like Kajagoogoo, Visage and A Flock Of Seagulls as fashion victims. They were the tribal leaders of a swathe of optimistic, even futuristic, youth. To understand the look, the feel of that unique time in history one has to have a mind to the can-do culture of that moment. The constraints of class, gender, sexuality were seen not as proscriptive and defining in the manner they had hitherto been, but rather as a rich iconography to be bent and shaped to create image, image, image!!! Too Shy (no’1) – Ooh To Be Ahh (no’7) – Hang On Now (no’13) – Only For Love (no’16) – Neverending Story (no4) . Big chart hits too possums, look, all top 20!! A five-hit wonder, but no flash in the pan. For a small time, a big star!! Instantly recognisable, obviously talented, so what happened……. Limahl won the hearts of a global audience as lead singer of Kajagoogoo and co-writer of their million selling album ‚White Feathers‘ spawning the deliciously catchy début single ‚Too Shy‘ which stormed to the top of the charts all over the world, including top 5 in America. The band’s eye-catching image struck a chord with a whole generation inspiring Kaja mania and a new wave of sometimes dodgy imitation haircuts! 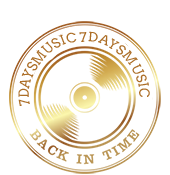 Mainstream popularity brought platinum sales awards and the accolade of performing at prestigious industry and public events alike. One such early career highlight was an invitation to perform at the 1983 Children’s Royal Variety Show at Her Majesty’s Theatre, London in the presence of HRH Princess Margaret. The momentum of that breakthrough year culminated in Kajagoogoo winning the ASCAP Award (American Society for Composers, Authors and Publishers) for having written one of the most played songs of the year on American radio. Limahl felt particularly honoured by the award being presented by Hal David better known as one half of legendary songwriting duo Baccarach and David. Far from being the one-hit wonders predicted by the more vociferous critics, their two follow up singles ‚Ooh To Be Ah‘ & ‚Hang On Now‘ charted respectfully, proving that the band were no manufactured overnight sensation. Not only could these guys play their instruments, for an all too brief moment in pop history, they shared an intense and professional musicality; songwriting skills that burnt with a commercial brightness that in the pop culture climate of the time seemed set to assure a measure of longevity. Alas, this was not to be. Sometimes the fickle finger of fate makes fall guys of the famous as fans flood away when fashions change. Sadly for Kajagoogoo it was at the height of their popularity when the band seemed to self-destruct. Sure, one can cite the pressure of intense recording and touring schedules taking its toll. But the friction that developed internally within the group – later to be described rather unsatisfactorily to their fans and Limahl as “musical differences” – led to the unprecedented sacking of their charismatic frontman. The public face and, arguably, one of the faces of the 80’s fired, but not forgotten!! The unexpected and violent surprise of this treacherous act was highlighted in an interview with Limahl during the January 2004 VH-1 sponsored TV special Bands Reunited when the group reformed for the first time in twenty years, he said „I was devastated, it really felt like a knife in my heart“. Although the premature dissolution of Kajagoogoo Mk.1 has left us with one of the most delicious ‘what if’ questions in the history of modern pop, what better incentive did Limahl need to embark on a solo career, a task to which he addressed himself with his customary gusto. The self penned ‚Only For Love‘ gave him his first solo chart hit. Significantly, it was while performing this song at the Tokyo Music Festival that Limahl met legendary songwriter/producer and three-time Academy Award winner Giorgio Moroder. Moroder was working on a new film soundtrack and invited him to perform a then unknown song, The Neverending Story. After reaching no’1 in over seventeen countries, Limahl’s „velvet tones“ and „quietly flamboyant“ image were now indelibly printed in the memories of millions of music lovers. It’s a long way from his roots in Wigan, (Lancashire). “My family were miners, everyone worked in factories and things like that, any ambition I had didn’t seem to have the remotest chance of being real”. But it was here where the 16 year old local lad won a singing competition at the famous ‚Northern Soul‘ venue The Wigan Casino. He moved to London at 18yrs old and after two years of piano & singing lessons, and as singer with several unsuccessful groups (one of which featured another unknown singer Mike Nolan who later rose to fame in Bucks Fizz) Limahl finally got his first paid job as a singer in ‚Aladdin‘ at The Grand Theatre , Swansea, (Wales) after a friend had introduced him to an established London theatrical agent Barry Stacey. „During the next three years“ says Limahl „a very solid performing apprenticeship was earned“ in a veritable bouquet of theatre roles including ‚Benjamin‘ in two different productions of ‚Joseph and the Amazing Technicolor Dreamcoat‘ , the disciple ‚Lamar‘ in ‚Godspell‘ and a brief flirtation with acting as ‚Dennis‘ in Agatha Christie’s ‚Murder at the vicarage‘. Crucially, „Every penny I earned, I put into writing and recording demos“ . Several demos later, independent record label ‚Angel Records‘ signed the budding singer under his real name of Chris Hamill and released ‚It’s Christmas‘. Aimed, perhaps naively, at the Xmas mass market, altogether the wrong kind of chart success was achieved that year when one magazine critic placed the song in their top 20 of ‚The Worst Christmas Songs Chart’. The follow up single ‚Angel‘ also made no impression on the charts and the label dropped him soon after. However, these first faltering steps into a recording career remain highly collectable footnotes of 80’s pop history. And these minor setbacks were certainly to prove no deterrent to a young Chris Hamill who soon enough placed a bold advert in the London musician’s Bible, Melody Maker. Ambition tends to ‘cut to the chase’ to coin a phrase and the small ad brazenly, brassily perhaps, made the simple statement „looking for a band“. It worked; the ad was spotted by unknown quartet Art Nouveau who lived in Leighton Buzzard (Bedfordshire), a leafy commuter belt town to the north of London. After an initial audition with the band, at the printing factory where the drummer worked, Limahl was hired. “I think it was a real commitment on my part to leave London which I adored and move to Leighton Buzzard to be closer to the group and concentrate on the music. I remember ringing my agent in London and saying „don’t call me with any more auditions, I’m joining a group and leaving London“ to which he must have thought „that’ll be the last we’ll hear of him“, but thankfully he would have been wrong!! A year later, with brand new songs in hand, new demos and even new names (Art Nouveau became Kajagoogoo and Chris Hamill became Limahl – an anagram of Hamill), he moved back to London and started the sometimes, thankless task of approaching record companies only to frequently hear those all too familiar words, „no thanks“ or worse, the clanging silence of abject indifference. To help pay the bills, Limahl took a part time job at London’s trendiest night spot The Embassy Club as a waiter/barman. It was here that a chance meeting took place drastically changing the course of events. Indeed, just four days after chatting enthusiastically to Duran Duran keyboard player Nick Rhodes, EMI Records were suddenly in the picture talking record contract language with Nick Rhodes and Duran Duran’s music producer Colin Thurston, the rest, as they say, is history. “I was lucky, I got to live my dream but you can’t plan that, its one third talent, one third hard-work and ultimately one-third pure luck”. After 20 years in the business, that „performing apprenticeship“ has now been well and truly earned, with countless, worldwide TV, theatre, ‚live‘ appearances and even successful music production credits to his name…… demand for Limahl is keeping those schedules as intense today as they ever were. The recent trend in reality TV has just seen him (Feb 2004) reach the semi final in a ‚Pop Idol‘ type TV format in Germany/Austria/Switzerland called Comeback where fan mail from 16 year olds has started to arrive again which is ironic, as these are probably the off spring of the original Limahl fans who were there the first time round. So what does the future have in store ? 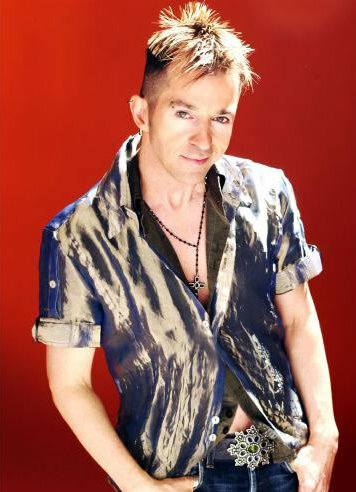 Well, in this business called ’show‘, who knows……however, it is now quite clear that even after his own group gave him the boot, Limahl not only survived but has also gone on to achieve a substantial degree of that much sought after longevity, both as a performer and musician, long may his varied career indeed be, neverending…..